This is a simple project for reading 28-pin ROMs, and for reading or writing 28-pin EEPROMs. It works with the pinout of ROMs and EEPROMs like 28c64, 28c128, 28c256, and so on. These ROM types are commonly used in 8-bit computers; old computers (like the BBC Micro and Spectrum), old arcade machines, and homemade computer projects. This project started out as a blog post that explained (by demonstration) how parallel ROMs work and how to read data from them. This would be of interest to anyone who tinkers with old computers or arcade machines – I originally wrote about it as part of building my homemade 6502 computer. I followed this up with an article on how to write to EEPROMs, and have also provided Windows utilities to help. As part of these investigations I built my own mini shield for sitting on top of an Arduino Mega 2560. I’ve had a number of messages over the last year or two from readers who had some trouble with their own experiments, or wanted to buy a pre-designed PCB … so this shield is now available to buy as an easily-assembled kit from Tindie. 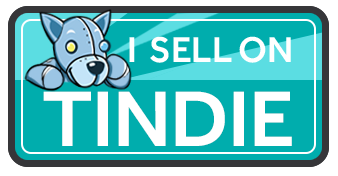 Click on the Tindie badge on the right to go to my store.